Aztec children were dedicated to war from the day that they were born. At birth, their umbilical cords were cut and buried with a shield and arrows. The children were told that they had come into the world to fight. Boys that wore six or seven attended telpochcalli. These were neighborhood schools where the) received military training. 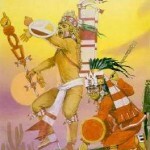 The god Tezcatlipoca ailed over the telpochcalli. When the boys were ten years old they had there hair cut so that all that was left was a lock on the nape of their necks. The lock or piochtli could not be cut until they captured their first prisoner. After the capture of their first prisoner they were elevated in rank. At this point the warrior could call himself a iyac. However, he still had only risen one rank. 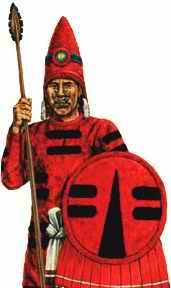 He would need to be successful in two or three more military campaigns if he wanted to rise very high in Aztec society. If the warrior failed, he would be forced to give up soldering and the consequences were severe. Failure meant that he would be forced to work a small piece of land with very few benefits, for the rest of his life. 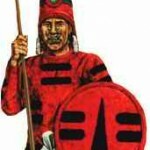 When the warrior had captured or killed four men he was given the title tequina. This act alone would make him a commander. 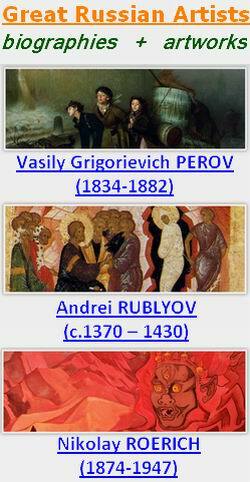 It would entitle him the right to wear certain feathered headdresses, bracelets of leather, nice jewelry, servants, a nice home, and finely dyed and embroidered clothing. I le also would receive tribute from the lands that he had helped conquer. These were wealthy men because they were honored by Aztec society. As they rose in the ranks their fame spread. The highest ranks were made up of the jaguar knights who wore the skin of a jaguar into battle, and the eagle knights whose helmet was made of an eagles head. It is said that every single male resident of Tenochtitlan was a warrior or wanted to be one. 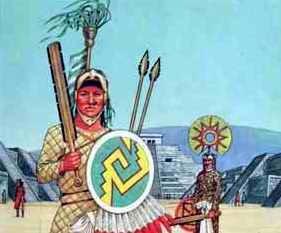 Montezuma (Motecuhzoma) was the supreme commander of Tenochtitlan and its surrounding cities. His title was Tlacatecuhtli or Lord of the Men (warriors). Motecuhzoma surrounded himself with his most important military officers. I le and his men were in charge of a series of warehouses that contained the Aztec arsenal of weap­ons. These buildings were called the “houses of javelins.” They were guarded at all times. 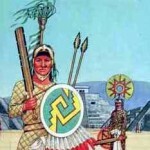 Surprisingly, most Aztec warriors were not afraid of being captured and sacrificed. They believed that death in battle or death on the stone of sacrifice meant the promise of a happy eternity. Human sacrifice in the ancient Aztec world was not for cruel purposes, but instead they believed that spilling blood was necessary to save the world. They believed that the individual who was being killed was not an enemy, but a messenger to the gods. All prisoners taken in war were well aware of their fate.